In a week when Supreme Court watchers expected to dissect the Brexit judgment, the Justices instead handed down their long awaited decision in the joined cases of Belhaj & Ors v Straw & Ors; Rahmatullah (No 1) v Ministry of Defence & Ors  UKSC 3. These appeals both involved unsuccessful attempts to strike out claims based on allegations of UK complicity in international wrongs – including torture and rendition and arbitrary detention – on the basis that our domestic courts should not exercise their jurisdiction in either case. The alleged facts in both cases are stark. Mr Belhaj and his wife, Ms Boudchar, allege that they were rendered to unlawful detention and torture in Libya under Colonel Gaddafi by the United States, subjected to unlawful treatment in Malaysia, Thailand and China, and that UK officials were complicit. Mr Belhaj was detained for almost 6 years. Ms Boudchar, who was heavily pregnant at the time, reports powerfully of her fears for her unborn child. Mr Rahmatullah was transferred in Iraq by the UK to the custody of US forces, who transferred him to Afghanistan, where he was detained for over a decade without charge or trial. This judgment, as in Miller, considers important constitutional questions about accountability and the separation of powers in our constitutional settlement; with the Supreme Court tasked to grapple with the limits of its own constitutional functions to constrain Executive power rather than those of Parliament. In an important statement on redress for violations of fundamental rights by UK officials and Ministers, the Court unanimously concludes that both claims are justiciable and must proceed to trial. The Supreme Court’s headline conclusions are powerful. No ill-evidenced claim of reputational risk – or embarrassment – for international partners-in-alleged-crime can, without more, prevent domestic courts examining serious allegations against the UK Government. Broadly, diplomatic blushes – no matter how significant – cannot trump redress for torture. The Government argued that although these claims were brought against UK respondents, they should be struck out as their determination would affect the “interests” of each of the third States engaged. The Court of Appeal in Belhaj concluded that the Government’s case on this kind of very indirect impleading would be an “unprecedented extension” of the law on state immunity as recognised in international law and the State Immunity Act 1978 (Court of Appeal, ), which “lacks any foundation in law” (Court of Appeal, ). “None of the … domestic or international cases carries the concept of “interests” so far as to cover any reputational or like disadvantage that could result to foreign states or their officials from findings as between the appellants and the respondents”  (See also, Lord Sumption , Lord Neuberger , endorses these conclusions). Significantly, Lord Mance notes that the logical outcome of the Government’s interpretation of the law would result in a de facto global bar to any claims for redress where State parties act in collaboration. In these cases, the Government’s argument would see claims barred against collaborator States both in foreign jurisdictions and in their domestic courts  – . The dissection of the nature and scope of the foreign act of state doctrine is at the heart of this claim’s constitutional significance. The Court of Appeal in Belhaj and Rahmatullah both rejected the Government’s case. In Belhaj, the Court concluded that the common law doctrine of foreign act of state could render a claim involving the acts of a third sovereign state non-justiciable. However, that doctrine, per Yukos v OSJC Rosneft Oil (No. 2)  QB 458, could be significantly defined by its exceptions. The Court of Appeal considered there to be both a ‘territorial’ limitation to the doctrine and that it would be displaced by public policy considerations, including in respect of violations of fundamental human rights standards (for a fuller analysis of the Court of Appeal judgment, see here). Although the three judgments in the Supreme Court adopt differences of approach in their analysis, Lords Mance, Neuberger and Sumption all draw a distinction between categories of the doctrine which might be considered private law, “traditional” or “municipal” forms of foreign act of state in respect of legislation, property and other acts within their jurisdiction or sovereignty and a different common law doctrine of judicial restraint which applies to the wider interactions of foreign states on the international stage. The first categories of the doctrine include a bar on claims which call into account the legislative acts of third states within their own jurisdiction and a bar on the examination of the sovereign acts of third states within their own jurisdiction. Lord Mance would treat these as two distinct principles of a single three-string act of state doctrine, Lord Sumption as a single unified doctrine of “municipal foreign act of state”. Lord Mance would limit both to third state actions in respect of property, and would have strictly applied a territorial limit [11(iii)(a) –(c)], [11(iv)]. Lord Sumption would not apply such a territorial limit and would also have recognised that the doctrine could extend beyond the handling of property rights to include actions for personal injury and other claims. Lord Neuberger considers respect for legislation cannot be limited to property rights, but must be restricted to its effects within the territory of the third state . He broadly shares Lord Mance’s view, stressing that “normally” unlawful acts of personal injury by third states overseas should not automatically bar an otherwise lawful claim -. The majority consider that, for the most part, these “municipal” or “traditional” conceptions of foreign act of state are irrelevant to the alleged facts in these cases (Lord Neuberger at  – ). (Lord Sumption, in the minority, would have applied his municipal doctrine to the acts of the Malay, Thai and Libyan authorities within their own jurisdictions ). However, the Justices each conclude that, in any event, on the facts of these cases as alleged, public policy would have allowed these serious claims to proceed regardless of their individual conceptions on limits to justiciability of the foreign act of state (see Lord Neuberger at , ; Lord Sumption at  – et seq). In its “modern” or “international” form, the Supreme Court emphasises that the foreign act of state doctrine which limits justiciability in respect of the acts of foreign states on the international plane is based both in international comity in the relationships between States and in respect for the domestic separation of powers (see Lord Mance  et seq; Lord Neuberger at  and Lord Sumption at  –  et seq). None of the judges would have applied any territorial limits to this doctrine. The Justices agreed that foreign act of state must not be treated as a strict doctrine of constitutional or institutional competence, but one of judicial “abstinence” or “restraint”. In short, a foreign act of state may render a claim non-justiciable not only because a court cannot properly hear a claim but also where it considers it should not hear it within the proper bounds of its constitutional functions. The Court recognises that there are claims where the doctrine will render a claim non-justiciable not only where there are no recognisable legal or juridical standards to apply, but where it would be inappropriate for the courts to exercise its jurisdiction (see Lord Neuberger, , ; Lord Mance -, Lord Sumption, - , ). Lord Sumption and Lord Neuberger both view the impact of public policy as an exception to the underlying doctrine of non-justiciability, but stress that this difference of approach would require a similar analysis taking into account the same considerations, including the significance of the claims, their nature and seriousness and the scope of the relevant law. Lord Sumption having based his conception of the “international” foreign act of state doctrine firmly on the international plane and the recognition of the separation of powers in that respect, would have limited any public policy exception to arguable violations of jus cogens norms of international law. He would only have allowed these claims to proceed only in so far as they were based on torture or arbitrary detention. Any part of the claim based in inhuman or degrading treatment or any other kind of personal injury would be non-justiciable , , , ). Lord Neuberger, concludes that, although a violation of a jus cogens norm will always be a relevant public policy consideration, the foreign act of state doctrine is “domestic in nature” and it is not “necessary for a claimant to establish that the treatment of which he complains crosses the international law hurdle before he can defeat a contention that the third rule applies”  (See also ). Lord Neuberger, with whom the majority agree, concludes while this foreign act of state doctrine could not apply in the case of Belhaj (suggesting the result could be “inimical to the rule of law if it were otherwise” ); it could apply on the facts of Rahmatullah, but that case would fall squarely within any public policy exception because of the seriousness of the allegations concerned for the fundamental rights of Mr Rahmatullah, recognised in both international and domestic law ( – ). The Supreme Court rejects the Government’s claim that where evidential analysis is necessary to determine the scope of any public policy question, the claim should be considered non-justiciable. The Government argued that only where an act of a foreign Government was self-evidently unlawful, on the law and the facts, could the Court consider the claims. Significant weight will be given to Government evidence on international and foreign relations and on disputed facts when determining any need for restraint. However, mere assertions or uncertainty will be inadequate to render a matter automatically non-justiciable (see, Lord Sumption at , Lord Neuberger at , ). There is no automatic “get out of jail free” in any claim where multilateral state action sees the UK implicated in human rights abuse. Uncertainty in the law cannot mean that our judges will be constrained from hearing a claim. The seriousness of the degree of harm incurred and the nature of the abuse – if grounded in domestic respect for fundamental rights – will further constrain any argument for restraint or deference. International embarrassment is roundly criticised as a reason for automatic deference from our domestic courts. Concrete evidence from the Government of an adverse impact on the foreign relations of the UK will continue to be relevant to the courts’ assessment of justiciability of any matter involving a foreign act of state. That evidence, although weighty, must be tested (although potentially with the protection of a closed material procedure, pursuant to the Justice and Security Act 2013 (“CMP”)). The strike out application in this case serves as a reminder that – although pursued enthusiastically in the courts and at Westminster – CMP are not the only tool in the Government’s litigation strategy for dealing with cases which raise concerns about national security or the wider public interests of the UK. Strike out will continue to sit alongside CMP and public interest immunity in the “pick and mix” range of options which may be deployed in response to serious claims which engage sensitive material. However, the guidance of the Supreme Court should render such a “nuclear approach” less attractive. This judgment is an important statement on accountability and redress and the constitutional responsibility of domestic judges in holding to account UK Government actors. Any alternative result would have seen the Government successfully carve out a domestic supplement to the international law of immunity, effectively shielding individual states and their institutions from scrutiny and ending the ability of individuals to secure redress for some of the most violent and stark kinds of human rights abuse recognised by international law. 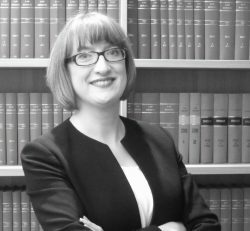 Angela Patrick (@Angela__Patrick) is a barrister at Doughty Street Chambers. Until October 2016, she was Director of Human Rights Policy at JUSTICE, where she managed the NGO intervention in Belhaj. This entry was posted on January 19, 2017 by Constitutional Law Group in International law, Judicial review, UK government and tagged Act of State, Belhaj, justiciability, Rahmatullah, UK Supreme Court.